RSW- Artwork page, "Woodland Edge"
Located in December of 2016. 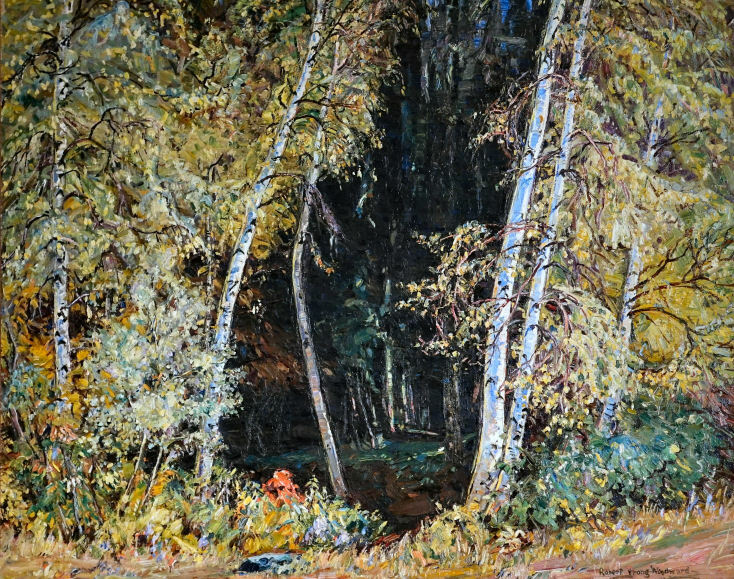 "Painted in 1932 of birch trees. Hung in dining room at Myles Standish Hotel in Boston in March of 1932..."
"...Dark woodland pocket thru fringe of birch trees in September." Of course, there is an obvious error in these notes, Woodward could not have painted this in September of 1932 and have hung it the summer prior to painting it! So we believe it was painted in 1931 and hung in 1932. We thank its current owner for their generousity, in both time and access to this wonderful painting. We couldn't be more appreciative.